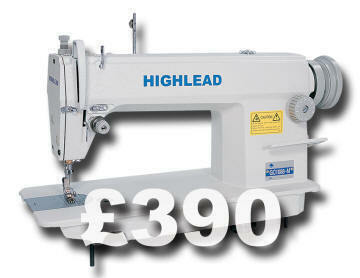 Offer Price includes: table top, unit stand, motor, instructions, manufacturers accessories and warranty. The SL-1110 (Replaces: models DB2 B755 MKIII & SL 755) is a standard Brother industrial high speed single needle lockstitch sewing machine. 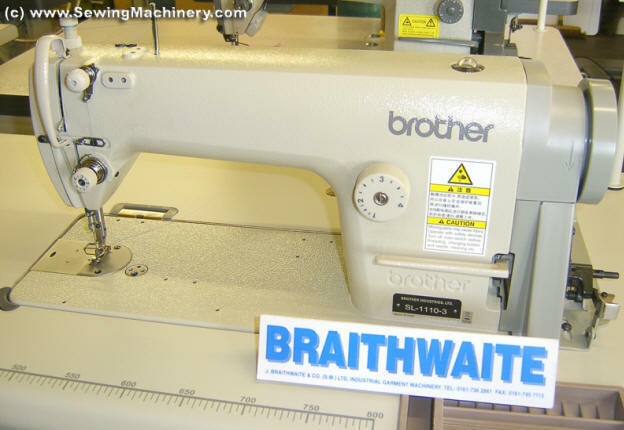 As the replacement for the older established models including B755 MKIII & SL 755, the Brother SL1110 model is designed as a general "work-horse" industrial sewing machine for use on light to medium weight material etc. 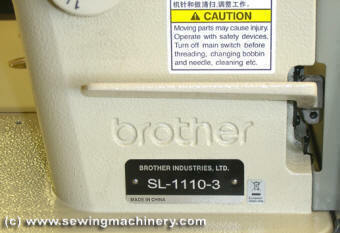 If you are looking for a single needle, straight sewing, lockstitch machine; the Brother SL 1110 is well worth considering. Visitors are welcome to come & try the Brother SL-1110 at our Salford / Manchester warehouse. With Brother Brand embossed in the casting.